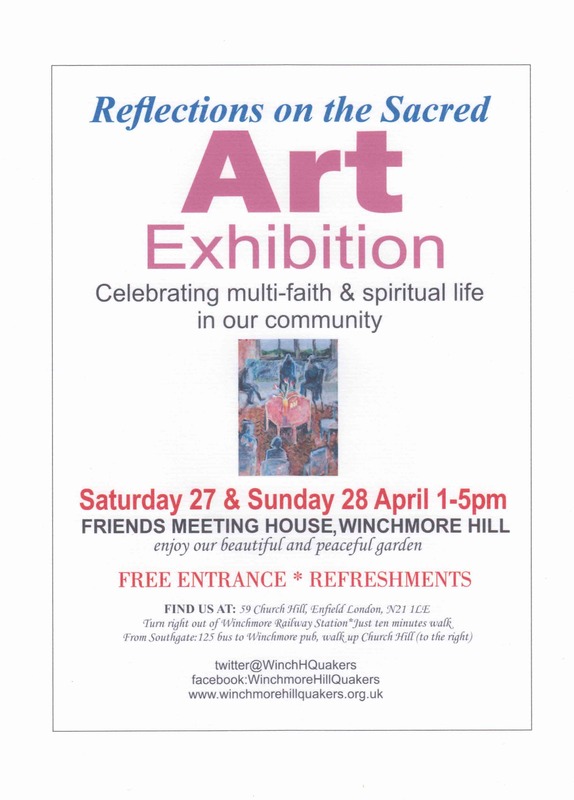 Quakers at Winchmore Hill Meeting House have invited other faith groups in the locality to display works of art inspired by their faith. Among them are Anglicans, Jews, Sikhs, Muslims, Jains, Christians, Buddhists and Quakers. It is an opportunity for us all to get to know each other, share beliefs and celebrate diversity. Visitors will have an opportunity to contribute their own reflections and create art on the spot. Free refreshments will be available. Everyone is invited also to enjoy the peace and tranquillity of the beautiful garden and burial ground of this historic Meeting House.